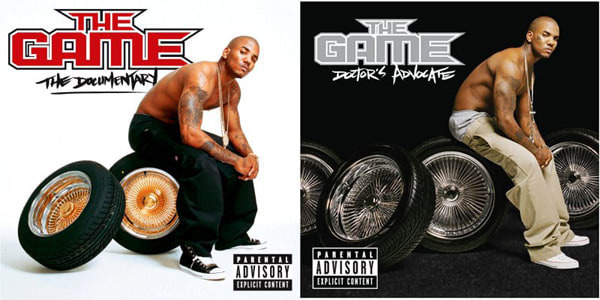 Complex Says: The anticipation for Game's second album was pretty crazy in '06, so when the cover to the LP hit the Internet it was kind of a letdown. In Game's defense, his covers showed growth the same way Nas did. The second cover showed him moving up from two tires to four. We were hoping he'd have an actual car by the time his third album, L.A.X., rolled around, but by then Game abandoned the concept.